The Idol Formerly Known As LADYBABY Release Second Single With Extras for Overseas Fans | Najinsan!!!!!!!!! The Idol Formerly Known As LADYBABY, Japan’s international rule breakers, threaten to lick all who underestimate them with second single “Pelo”, out now globally. Special bundles for the single include exclusive A3 poster, t-shirt and download card, available only for the release outside of Asia via JPU Records. Pelo is Japanese onomatopoeia for the sound of licking or slurping, and is the title song from the six-track single. Its message is a feisty one; “underestimate me and you’ll get licked”, and sees the pair poke their tongue out at anyone that stands in their way. Formed of Rie Kaneko and Rei Kuromiya, the twosome were originally part of a three-person unit known as LADYBABY who had a number of popular music videos. Debut release Nippon Manju went instantly viral upon its release in 2015 and has accumulated more than 19 million hits on YouTube, and been subject to popular YouTube channel FBE’s “React” series, where there have been over two million plays of the episode “Elders React to LADYBABY”. Some of the elders’ comments include; “[It’s like] Hello Kitty meets Slayer”, “phenomenally silly” and “I don’t like it!”. As LADYBABY, the group had sold out headline shows in New York, Los Angeles and Cologne, as well as featuring as a guest at London’s Hyper Japan event. In 2016, LADYBABY became a duo and decided it was best to change its name to reflect the line-up change, becoming known as The Idol Formerly Known As LADYBABY, and signed with major Japanese label King Records for domestic activities. 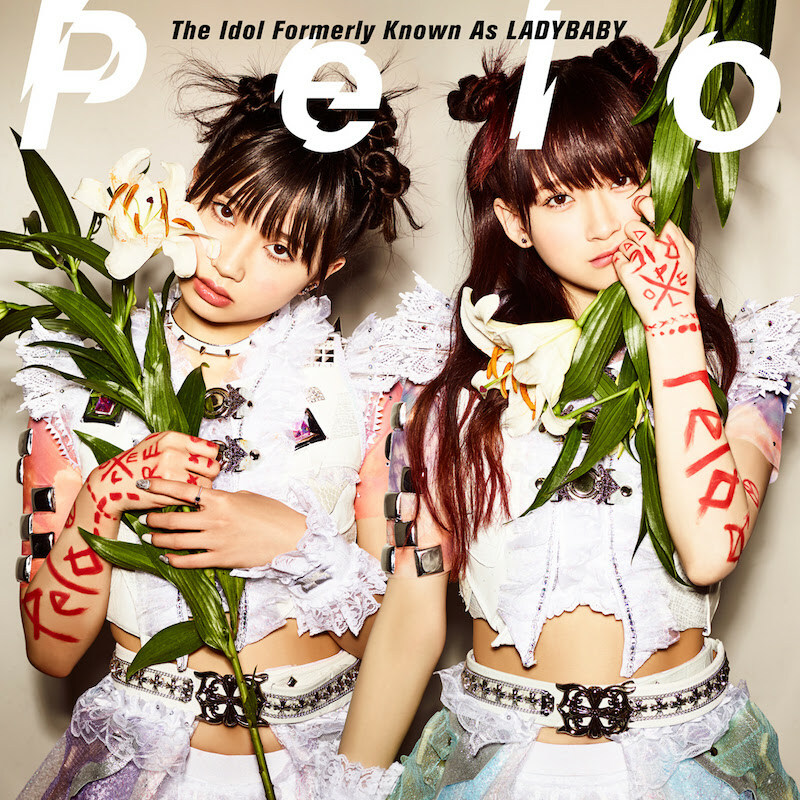 Pelo is The Idol Formerly Known As LADYBABY’s second single. It is available now as a regular digital download through iTunes, Amazon Music and similar service, as well as available as a download card with options of including a t-shirt as well as an A3 poster, featuring the single’s artwork and lyric translations of all included tracks. Altered Sky – Why Are We Next To These People? !